American Blackjack is an exciting casino card game where you go head-to-head against the dealer in pursuit of the highest value hand. Both the dealer and the player are dealt 2 cards each, with the target being 21. However, you don't need to hit 21 to win – you simply need to beat the dealer's hand without busting out. We use 6 decks of cards for our American Blackjack game and all the cards are shuffled after each game. 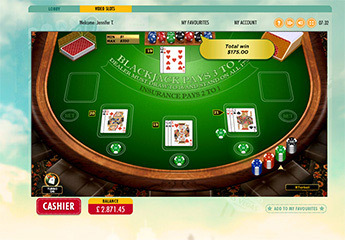 You can wager with a wide range of chip values starting at 1 and going all the way up to 100. Also, you can play up to 5 American Blackjack hands simultaneously at 777. To start with, you are dealt 2 cards face up for each of the hands that you play. Only one of the dealer’s cards will be visible upfront, the other will be dealt face down. You have the option to Hit, Stand, Double, Split or take Insurance accordingly. 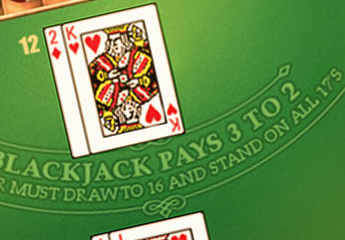 The dealer will check for Blackjack if the up card is a 10-value card or an Ace. If the dealer has Blackjack, you will lose. If you hit Blackjack (a 10-value card/Royal + Ace) you win and will be paid at 3:2 odds. If the dealer has less than 16, the dealer must draw until at least 17. Cards 2-10 assume their face value while royals assume a value of 10. Aces can be either 1 or 11. 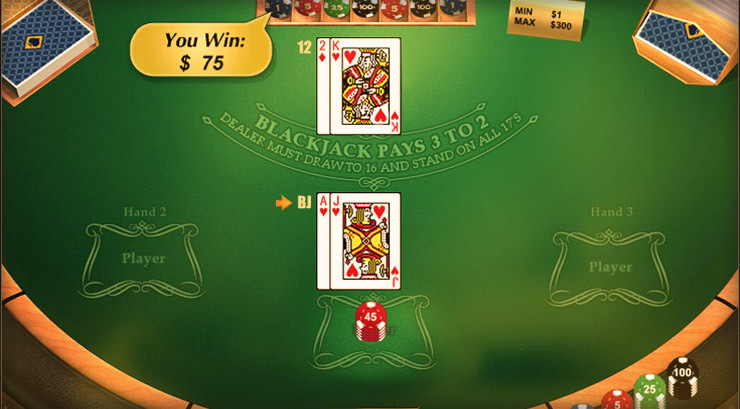 The payoff for a winning hand is 1 to 1, for Blackjack is 3 to 2 and for Insurance is 2 to 1. The game sports a theoretical return of 99.52%. Get ready for big action with American Blackjack right here at 777. You can practice for free until you're ready to play for real. Let's get started!